We have all worked for a least 1, maybe 2 or 3 of them & it ain’t pretty. 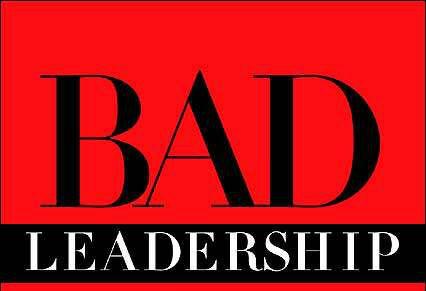 The bad leader. They can make really good work, a terrible place to be. I learned some of my very best leadership lessons, from my worst boss. P.S. Share on our Facebook page, what wisdom have you learned from either being or working for a bad boss. P.P.S. There is 1 simple way to become a great leader. The Leadership Identity Program is a 1-1 coaching program to help accelerate your skills & advance your career. Click here for details.